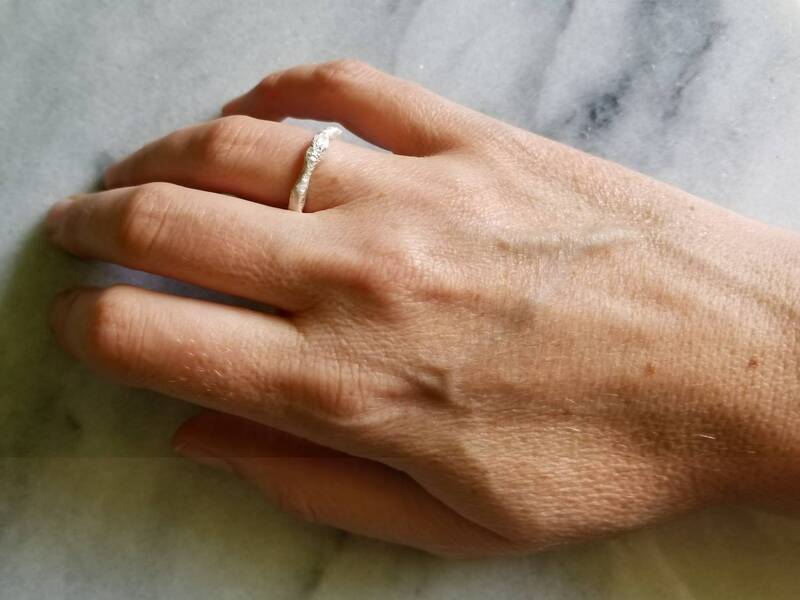 I recently visited the gems and minerals exhibit at the National Museum of Natural History and was fascinated by the natural beauty of precious metal ores. 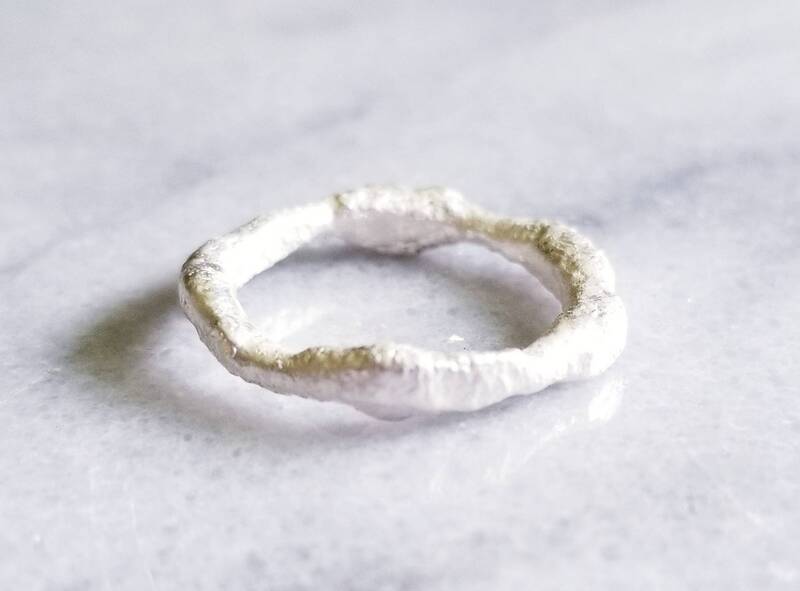 Seeing the fascinating shapes achieved by gold and silver inspired my to create a series of molten rings, in which I allowed the precious metal to form the way it wants to while heated to the melting point. 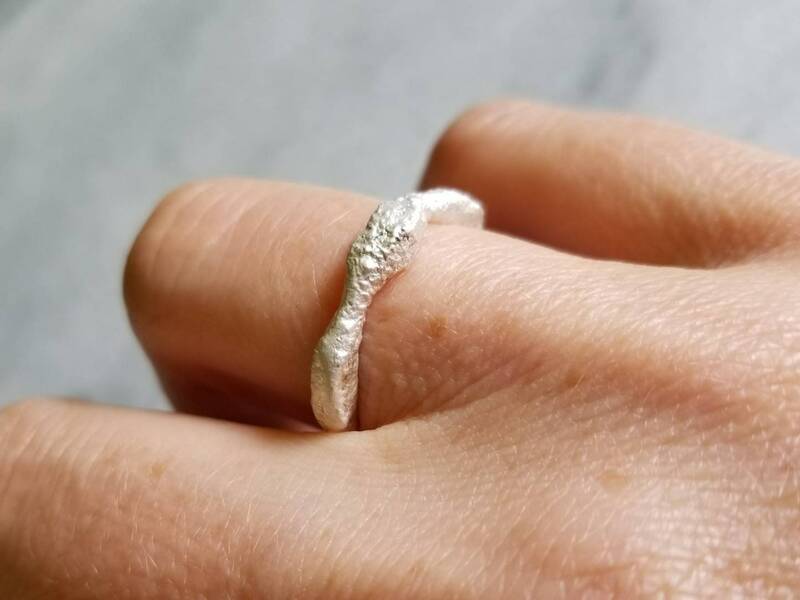 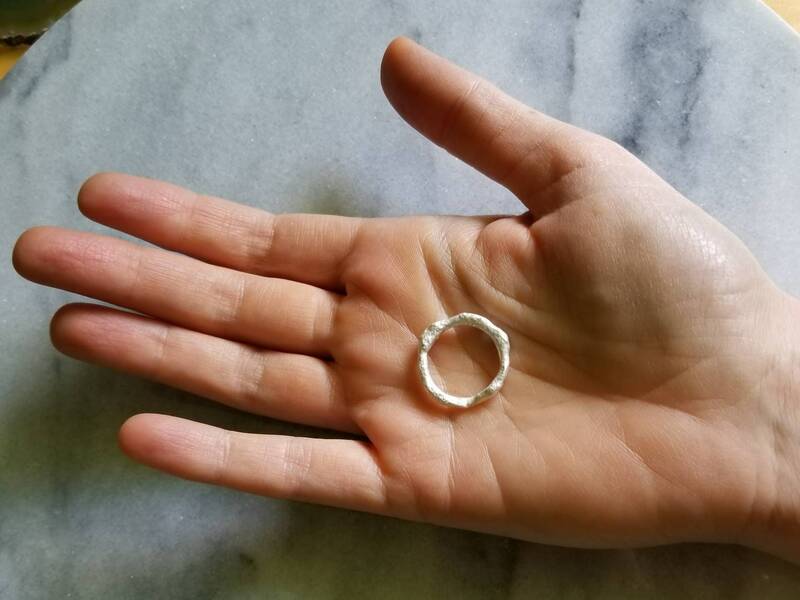 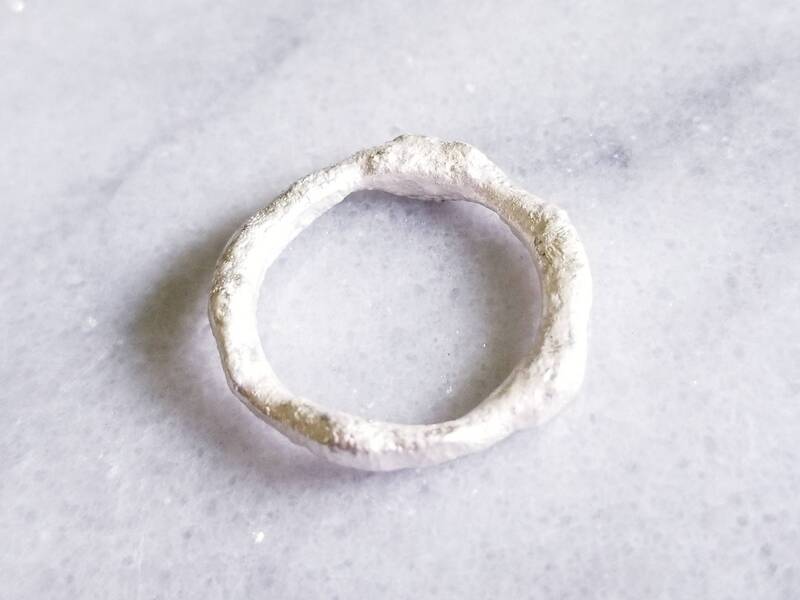 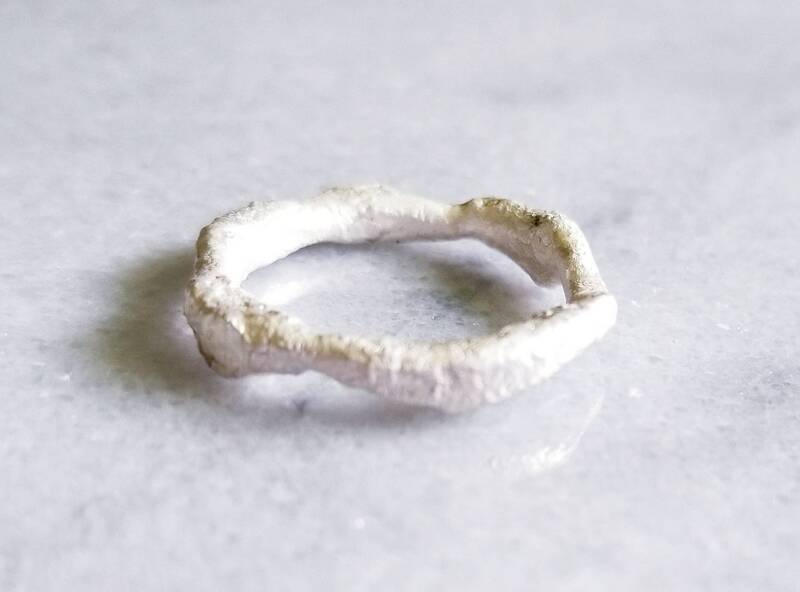 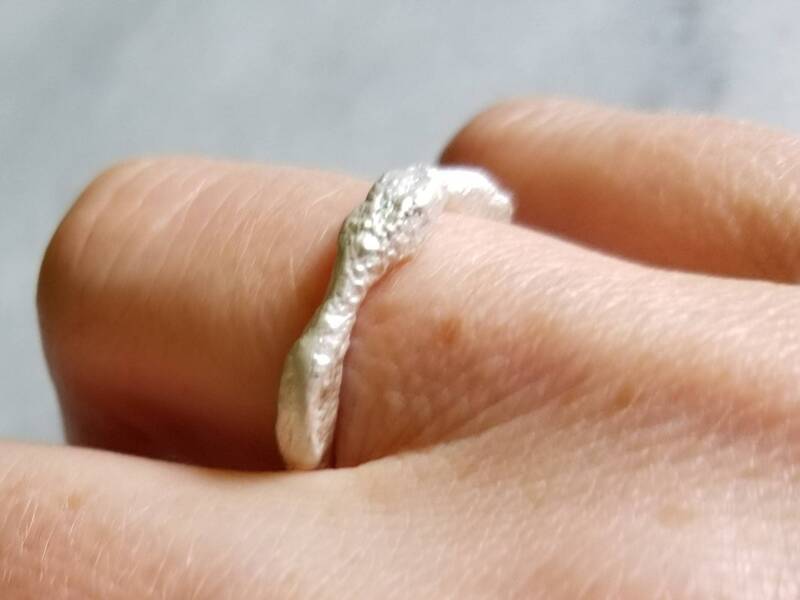 Each ring I create is completely unique and made from 100% recycled silver and features organic, asymmetrical edges that are pleasantly tactile. 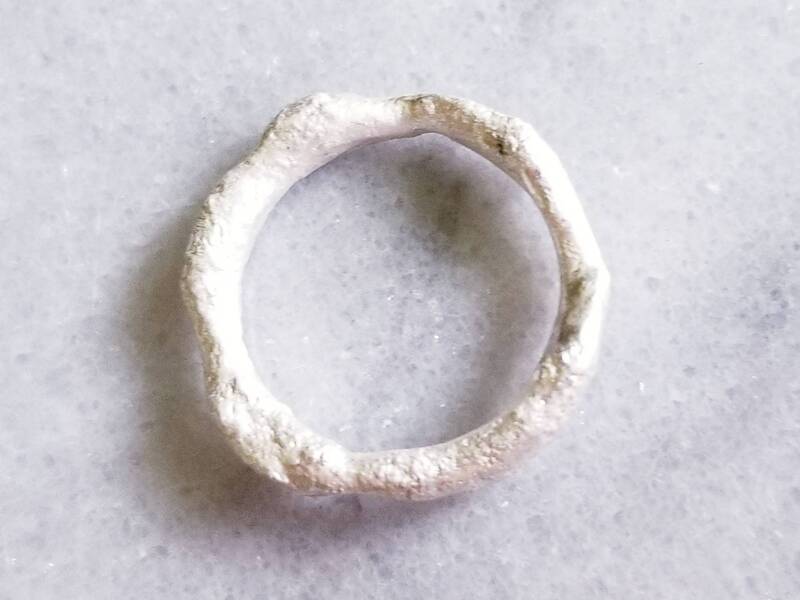 The inside has been smoothed to make it comfortable to wear.